This pattern requires a fabric for the skirt and muslin for the skirt lining. 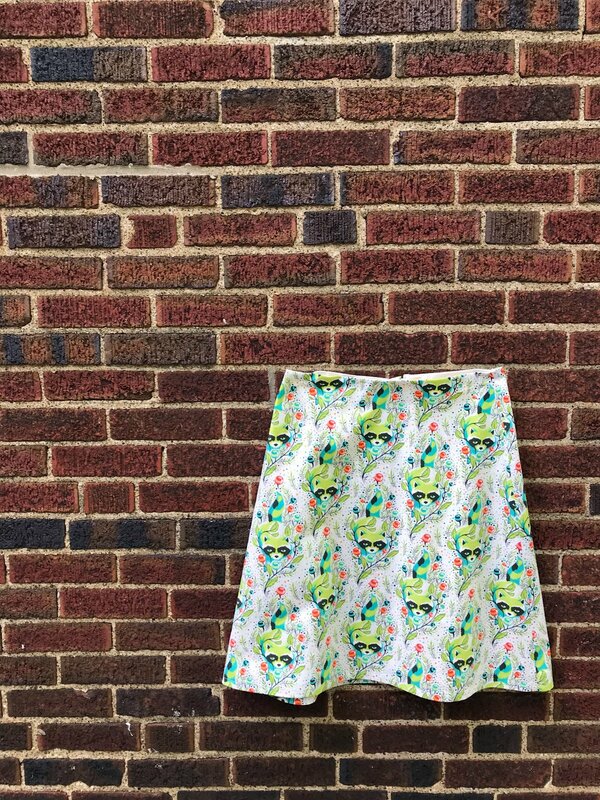 You will also need to purchase the Amy Butler Barcelona skirt pattern. Sizes range XS (36" hip) - XL (47.5" hip). Please see the pattern booklet for yardage information based on your hip measurement. Zipper foot for sewing machine. Please call the shop to reserve one of our machines if you don't have your own. Skill level: Beginner - Advanced. Must be proficient in the use of your sewing machine.